In contrast to the ASA’s position, nurse anesthesia leaders at the national and state levels demand full independent practice for nurse anesthetists, and they reject physician supervision, consultation, or oversight even for complex cases involving the most critically ill patients. “If your family member gets admitted to the hospital, and you’re willing to pound your fist on the admission desk and say, ‘I want the best possible care. No doctors!’” Dr. Plagenhoef said, “then I’ll believe that you really stand behind your principles.” Otherwise, he said, demands for independent practice are “disingenuous” and ethically suspect. Dr. Plagenhoef listed the many ways that ASA and CSA are working on behalf of all physician anesthesiologists, including those who are not members of their professional organizations. 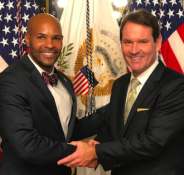 As one example, federal legislation to limit out-of-network payment would pose a threat to the livelihood of all anesthesiologists and hospital-based physicians, Dr. Plagenhoef explained, and the ASA is working hard to prevent it. In California, vigilant advocacy on the part of CSA leaders and lobbyists (including late-night urgent contacts with key legislators) helped avert the passage of AB 533, which would have allowed third-party payment at Medicare rates for out-of-network services. This would have been disastrous for anesthesiologists, since our Medicare payment rates average only 33 percent of commercial insurance rates. The anesthesiologists who choose not to pay ASA and CSA dues are taking unethical advantage of those who do, Dr. Plagenhoef said, and their relationship with their dues-paying colleagues is parasitic, not symbiotic. Refusal to support the political action committees of both organizations is short-sighted and equally unjust to the anesthesiologists who do their part as professional citizens, he said. Dr. Plagenhoef spoke in strong support of anesthesiologist assistant practice, saying that in his hospital nurse anesthetists and CAAs work amicably and take call together. He pointed out that CAAs have MCAT scores comparable to those of medical students, and must complete a two-year master’s degree program in anesthesiology to ready them for practice in the anesthesia care team model. CAAs are recognized by CMS as qualified anesthesia providers, and their services are compensated on an equal footing with nurse anesthetists. The ratio of anesthesia providers to population is lower in California than in many other states, adding ammunition to the argument that there is plenty of room for CAAs to work in California without adversely affecting the job market for nurse anesthetists. In the states like California whose governors have opted out of the CMS requirement for physician-supervised nurse anesthesia, patient access to care in rural areas has not improved at all, Dr. Plagenhoef said. The reason is that nurse anesthetists were already able to work in rural hospitals under the supervision of surgeons or other operating physicians. Nurse anesthetist payment for working in critical access hospitals is subsidized by the federal government, while physician anesthesiologists are not eligible for comparable rural pass-through funding. In response to emotional counterargument from a few nurse anesthetists in the audience, Dr. Plagenhoef remained pleasantly unruffled, reiterating his support for nurse anesthetists working in the physician-led anesthesia care team. 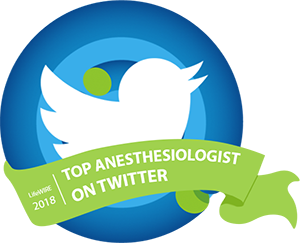 He explained that he presented images of negative advertising and vituperative, anti-physician tweets by nurse anesthetist leadership because it is important to be aware of them, and because nurse anesthetists elected those leaders. The ASA refuses to engage in rebuttal, Dr. Plagenhoef said, and continues to offer full cooperation with nurse anesthetists who work in harmony with physician anesthesiologists. The ASA plans to offer continuing education modules for nurse anesthetists who want to obtain credits outside the auspices of the AANA. Dr. Plagenhoef expressed warm thanks to Holly Muir, MD, Chair of the Department of Anesthesiology at USC, for her invitation to speak and for USC’s hospitality. The CSA hosted a welcome reception for Dr. Plagenhoef at the elegant downtown California Club on September 14, made possible with the help of the Keck School of Medicine at USC. CSA members including residents, faculty, and private-practice anesthesiologists from several California hospitals and universities enjoyed the chance to talk with Dr. Plagenhoef and take part in an informal question-and-answer session on ASA issues. After his Grand Rounds appearance on Friday morning, Dr. Plagenhoef spoke with USC anesthesiology residents and then joined the CSA’s quarterly board meeting. He delivered remarks during a dinner for officers and district directors, and offered counsel at a meeting of the CSA’s Committee on Legislative Affairs. “I actually think if you had a laser beam, the 50-yard mark would have passed right between us!” Dr. Plagenhoef said. I worked in a “team” practice for 14 years. It was great. Until the anesthesia nurses took advantage of their time in the OR with the surgeons and OR staff by promulgating their view that the anesthesiologists were not really necessary, despite the fact that the anesthesiologists in that practice were very present and very involved. When hiring challenges required that the group ask for some help from the hospital, the surgeons and hospital administration were primed to simply take over the practice and convert it to a nurse-dominated group. After a time, the reputation of the department suffered the inevitable decline and morale and surgery volume declined in turn. Those anesthesia nurses caused a lot of destruction. And hurt some patients in the process. So you cannot be surprised that I, and many other anesthesiologists, do not “welcome” anesthesia nurses on our team. The sad thing is, there probably are many anesthesia nurses who are able to see the value of anesthesiologists and believe in the care team. A care team practice with such nurses would be a wonderful thing. But how could you know that the anesthesia nurses that you are considering hiring will be team players, and not practice destroyers? You should look into hiring Certified Anesthesiologist Assistants if you are looking to continue the Anesthesia Care Team Model. As the article states, CAAs have a two year Masters degree in anesthesia education which requires an MCAT to enter. In addition, CAAs take a recertification exam every 6 years. All CAA legislation requires an Anesthesiologist-led Care Team model and the American Academy of Anesthesiologist Assistants fully supports the Anesthesia Care Team and the ASA. Dominica; Yes, I have been following the development of Anesthesia Assistants. It looks like they may provide a good solution. There is a significant regulatory hurdle for them. Furthermore, if their salary requirements are indeed very close to that of anesthesia nurses, it will be difficult to fit them into many small to medium practices. It’s the opposite where I live. You would be hard pressed to find a CRNA in any of our local hospitals. The surgeons don’t want them. 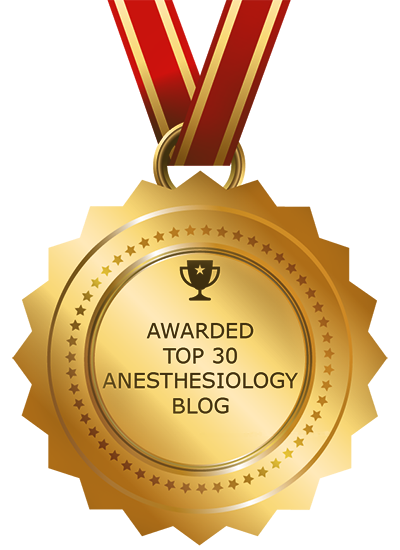 Great article and I do believe there is a time and place for an anesthesia care team. I chose to be in a physician only anesthesia team for my practice. Here are my in-depth thoughts. Thank you Karen for your outstanding opinions! !